Ever wonder why the dollar strengthens both in times of tough luck and when the economy is booming like a Beyoncé single? Well, so does everybody else. In fact, this really smart dude over at Morgan Stanley came up with a theory to explain this phenomenon. The first part of the smile shows the U.S. dollar benefiting from risk aversion, which causes investors to flee to “safe-haven” currencies like the dollar and the yen. Since investors think that the global economic situation is shaky, they are hesitant to pursue risky assets and would rather buy up the less risky U.S. dollar regardless of the condition of the U.S. economy. Dollar drops to a new low. The bottom part of the smile reflects the lackluster performance of the Greenback as the U.S. economy grapples with weak fundamentals. The possibility of interest rate cuts also weighs the U.S. dollar down. The dollar appreciates due to economic growth. Lastly, a smile begins to form as the U.S. economy sees the light at the end of the tunnel. As optimism picks up and signs of economic recovery appear, sentiment towards the dollar begins to pick up. In other words, the greenback begins to appreciate as the U.S. economy enjoys stronger GDP growth and expectations of interest rate hikes increase. This theory appears to have been in play when the 2007 financial crisis began. 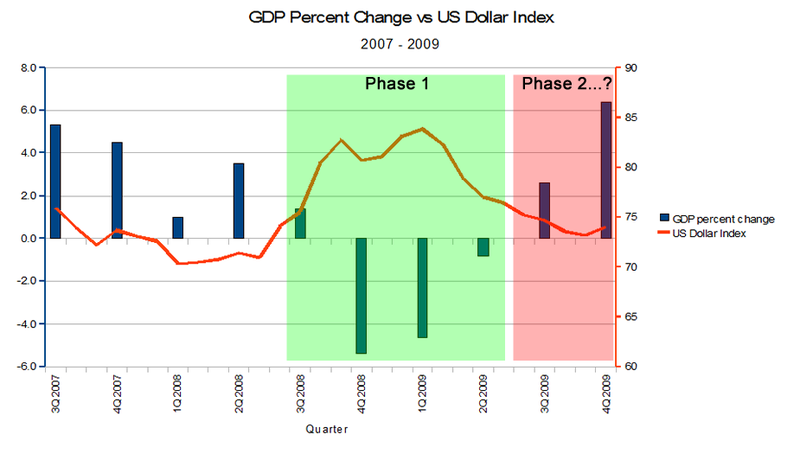 Remember when the dollar got a huge boost at the peak of the global recession? When the market eventually bottomed out in March 2009, investors suddenly switched back to the higher yielding currencies, making the dollar the winner of the “Worst Currency” award for 2009. So will the Dollar Smile Theory hold true? In any case, this is an important theory to keep in mind. Remember, all economies are cyclical. The key part is determining which part of the cycle the economy is in.